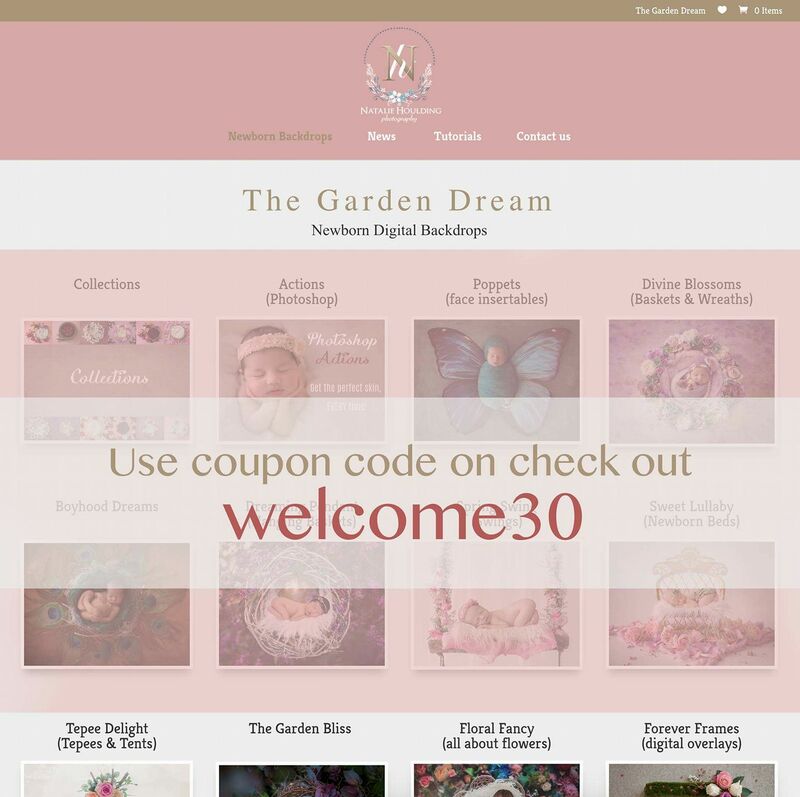 Hello everyone and welcome to The Garden Dream’s brand new home on www.newborndigitalbackdrop.com! We’ve moved sites, redecorated and even added some cool new stuff such as a tutorial section and the ability for all new newborn digital backdrops to have a HUGE download size*! All this to make your digital backdrop selection experience easier, more fun and more intuitive. And the best part is we’re offering you a 30% saving on all individual backdrops as a way of saying hello and making sure everything is running smoothly for you. Simply use coupon code ‘welcome30’ on checkout and take advantage of this excellent offer. We trust you will enjoy your experience here and if have any comments, suggestions or feedback, simply drop us a message here and we will get back to you in due course.